Bristol’s Retired and Senior Volunteer Programme (RSVP) are keen to recruit volunteers to visit people receiving Home Care services and assess the quality of the service provided. Lay assessors are part of a team visiting people in their homes across the city that have home care services, to talk to them and find out if the quality of the service is satisfactory. 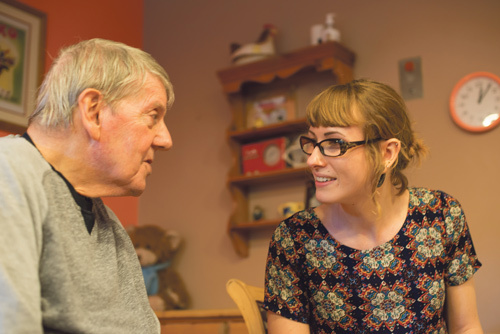 People who need carers to come to their homes are mostly older, frail and can be in very poor health. For most, the carers are their lifeline. Many are isolated and vulnerable and may find it hard to complain or sort out any problems with their care arrangements. This voluntary role is interesting, rewarding and flexible, as well as being highly sociable. Volunteers undertake an agreed number of visits in a specific period and full training is provided along with regular opportunities to meet and share the experience with other lay assessors. If you are interested in becoming a lay assessor and would like to find out more, email homecare@rsvp-west.org.uk or call 0117 922 4392 and leave your contact details and either Paula or Ken will call you back.